LOS ANGELES (Jan. 27, 2019) – The Screen Actors Guild Awards® presented its coveted Actor® statuettes for the outstanding motion picture and television performances of 2018 at the 25th Annual Screen Actors Guild Awards®, hosted by Megan Mullally, held Sunday, Jan. 27 at the Los Angeles Shrine Auditorium Expo Hall. Honored with individual awards were Mahershala Ali, Emily Blunt, Rami Malek and Glenn Close for performances in motion pictures, and Patricia Arquette, Jason Bateman, Rachel Brosnahan, Darren Criss, Sandra Oh and Tony Shalhoub for performances in television. The Screen Actors Guild Awards originated awards for the outstanding performances by a motion picture cast and by television drama and comedy ensembles. The Actor® for a motion picture cast performance went to Black Panther, while the Actors® for television drama and comedy ensemble performances went to This Is Us and The Marvelous Mrs. Maisel. Harry Shum Jr. and Sydney Sweeney revealed the honorees for outstanding action performances during the official live pre-show PEOPLE, Entertainment Weekly TNT Red Carpet Live: 25th Screen Actors Guild Awards. The stunt ensemble from Black Panther was honored for film and the stunt ensemble from GLOW was honored for television. Tom Hanks presented Alan Alda with the 55th Life Achievement Award, following a filmed salute to one of the world’s most respected and beloved actors. A filmed “In Memoriam” tribute honored the SAG-AFTRA members lost during 2018.  In keeping with the SAG Awards tradition of highlighting the work of SAG-AFTRA members, SAG-AFTRA President Gabrielle Carteris introduced a montage that saluted the memorable 25-year history of the SAG Awards. In a poetic gesture, the final award of the evening was presented by Jodie Foster, who was the first ever to receive an Actor® for Outstanding Performance by a Female Actor in a Leading Role. Tom Hanks was the first ever to receive an Actor® for Outstanding Performance by a Male Actor in a Leading Role. Both actors were on the inaugural SAG Awards and returned as presenters for the show’s Silver Anniversary. PEOPLE hosted the official Post-Awards Gala for the 23rd year. This exclusive event, which was held immediately following the SAG Awards on a specially extended section of the Shrine’s auditorium stage honors the charitable efforts of actors in their communities. In addition, Stand Up To Cancer (SU2C), a division of the Entertainment Industry Foundation (EIF), will make a $125,000 grant to the SAG-AFTRA Foundation’s Catastrophic Health Fund. Nominees chosen by their respective SAG Awards film and television nominating committees were announced on Dec. 12, 2018. Two nominating panels — one for television and one for film — each composed of 2,500 randomly selected union members from across the United States, chose this year’s nominees. Final voting information was sent to the 120,785 SAG-AFTRA members in good standing across the country. Balloting closed at noon on Friday, Jan. 25. Integrity Voting Systems, the Awards' official election teller, sealed the results until they were announced live during the 25th Annual Screen Actors Guild Awards. For more information about the SAG Awards, SAG-AFTRA, TNT and TBS, visit sagawards.org/about.